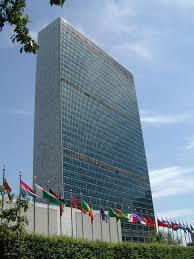 UN Association-USA: A Little Known History of Advocacy and Action. The School of Diplomacy and International Relations proudly announces the publishing of UN Association-USA: A Little Known History of Advocacy and Action. Beginning with efforts in support of the creation of the United Nations—and covering the decades-long campaign to promote the UN to the US public, the role of Eleanor Roosevelt, the decline of popular support, Track II diplomacy with Iran and the Soviet Union, and much more—author James Wurst draws on a wealth of archival material and personal interviews to tell an honest, and long overdue, story of the UNA-USA’s persistence, problems, and achievements. Published by highly respected Lynne Rienner Publishers, the School of Diplomacy served as host to this independent book project on the history of UNA-USA and serves as the institutional home for the archives of the United Nations Association of the U.S.A. (UNA-USA). Diplomacy student interns supported the project by completing research, writing background material for the lead authors and advisory panel, and assisting with editing as well as interview documentation. The School will celebrate the publication with a book talk featuring the author and an exhibit of archival material on Thursday, September 29 at 6:30 p.m. on its South Orange campus in the University Center, Chancellor’s Suite. All are welcome. Lead author Jim Wurst is well-known among UN journalists as an analyst specializing in international security issues. Based at the United Nations since 1987, Jim has been a reporter for the National Journal Group (UN Wire and the Global Security Newswire), Inter Press Service, The InterDependent, and LGMA.TV. He has also contributed to the Bulletin of Atomic Scientists and Arms Control Today. He is the former Editor of Disarmament Times (New York) and Disarmament Campaigns (The Hague). He has written on nuclear weapons, land mines, the arms trade, climate change, financing for development, peacekeeping, UN reform and international law, and he has reported from Europe, Southern Africa and Mexico. His work has been published in anthologies, including A Global Agenda: Issues Before the United Nations 2010-2011, published by the UNA-USA. Jim has held numerous positions in the United Nations Correspondents’ Association (UNCA), including President (2005). This unique research host opportunity comes to the School of Diplomacy as a direct result of the School’s alliance with the United Nations Association of the USA and United Nations Foundation. Learn more about the School of Diplomacy’s relationship with UNA-USA, and how this relationship benefits students, the School and the University. For more information on and to order your copy of the UN Association-USA: A Little Known History of Advocacy and Action, visit: https://www.rienner.com/title/The_UN_Association_USA_A_Little_Known_History_of_Advocacy_and_Action.